← Coming Soon to a Blog Near You! 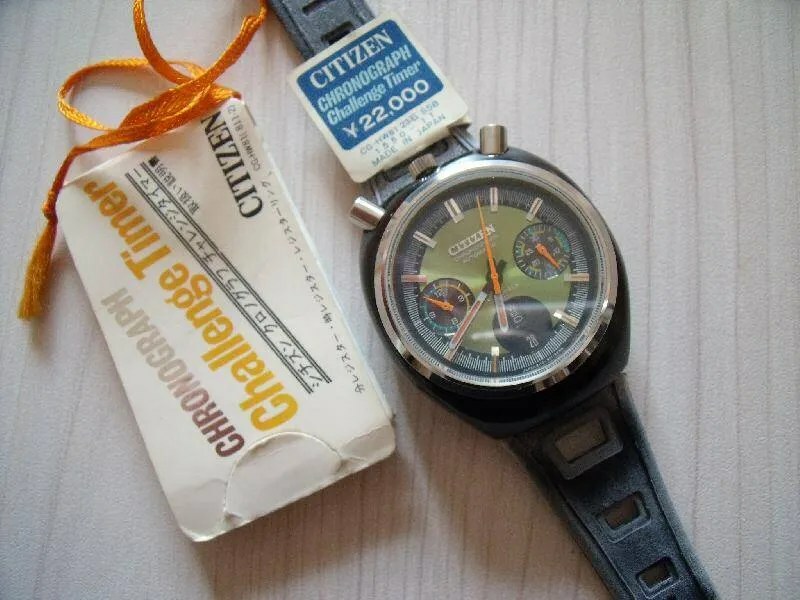 The Citizen Challenge Timer, usually known these days as a ‘bullhead’, was first marketed in 1972. 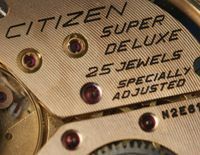 It’s now probably Citizen’s best known vintage watch and there are often examples up for sale, however many have after market dials and refurbished cases. 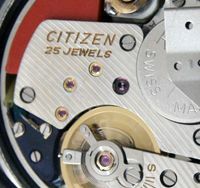 There were two case designs, one in base metal with a variety of finishes, and one stainless steel octagonal design. 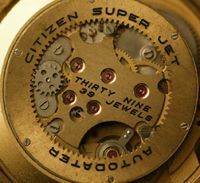 The base metal models were finished in three ways – satin polished, gold plated, and black coated. 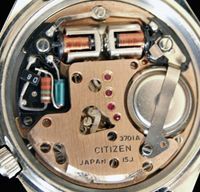 The movement is of course the high beat, fly-back 8110A (no movement shot since the back is on rather tight!). 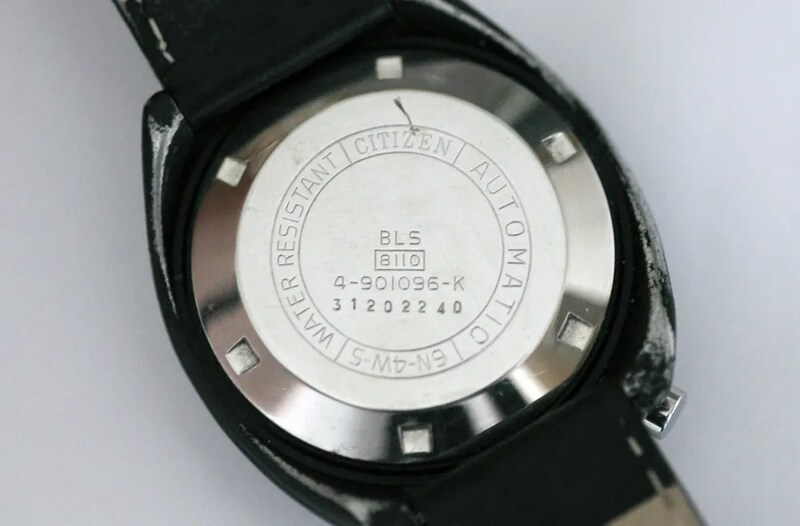 The case material code on this is BLS – black case, steel bezel. 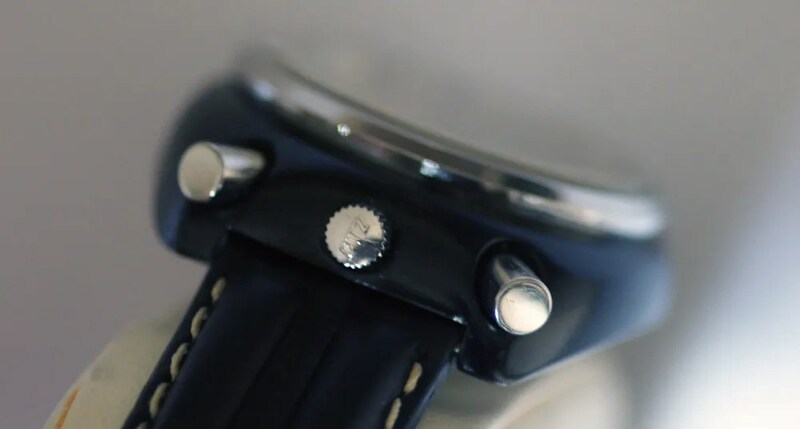 As can be seen from the above shot the black coating does wear and this means good examples are hard to find. 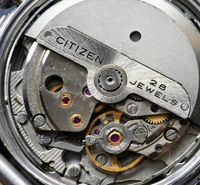 Many are polished back to the metal underneath so it’s always worth checking what the case code tells you about the original finish. 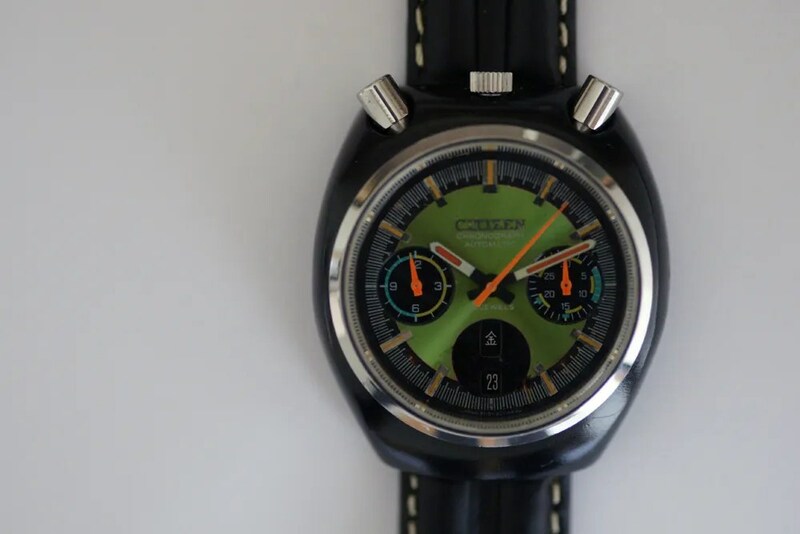 This entry was posted in Vintage Watches and tagged Citizen 4-901096, Citizen Bullhead, Citizen Vintage Chronographs, Vintage Citizen Chronograph 8110A, Vintage Citizen Watches. Bookmark the permalink.